In a TV broadcast, Salem Abdel Galil said they followed "corrupt" cults and "will not go to heaven". His words stirs protests and indignation. A Christian attorney files a complaint against the preacher: Defamatory words and threat to unity of the country. The apologies of the broadcaster hosting the program. 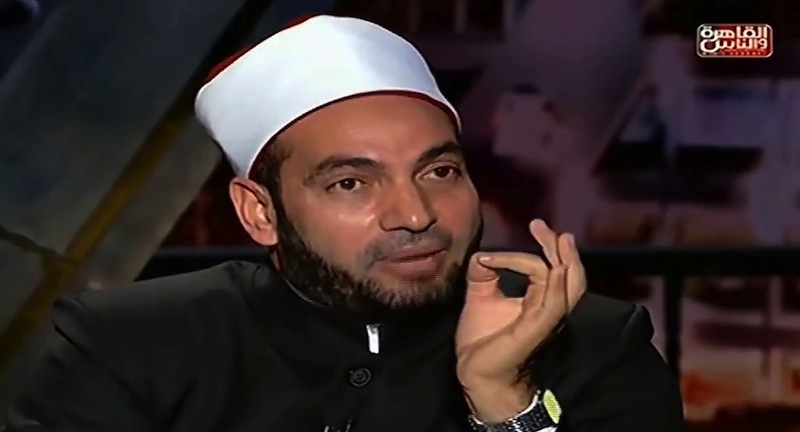 Cairo (AsiaNews / Agencies) - The Egyptian authorities have suspended the activities of an Islamic preacher, guilty of repeatedly preaching offensive sermons against Christians and Jews. The religious leader, who will be tried by the judiciary, said that the faithful of Jesus and Abraham follow "corrupt" cults and "will not go to heaven." Salem Abdel Galil (pictured), once an official at the Egyptian Ministry for Religions, made these observations in the context of a television broadcast that he himself conducts. Speeches that have stirred anger and indignation in a nation where the Christian minority has been the subject of targeted attacks by the Islamic State jihadist militias (IS) over the last months. In total, since last December, at least 75 members of the religious minority (about 10% of the total population) have been killed by Islamic fundamentalists. These include the victims of the explosions at churches last month and the faithful who died in the context of the attack on the Coptic cathedral of St. Mark in Abassiya, Cairo, in December. The escalation of violence had also made many fear the cancellation of Pope Francis's apostolic journey in Egypt, scheduled for late April. However, the pontiff wanted to respect the initial program by meeting with the president of the Republic al-Sisi, the great imam of al-Azhar Ahmad Al-Tayeb, and celebrated a mass in front of tens of thousands of faithful. The Ministry of Religious Affairs, who controls the mosques of the country, has stated that Abdel Galil will no longer be allowed to pronounce sermons and conduct prayers if he does not retract his hate speech. Naguib Gobrail, a lawyer and Christian activist, filed a complaint against the religious, which a criminal court will deliberate. The sentence is expected by June 24th. "These words constitute confessional defamation - said the Christian leader - and a threat to the unity of Egypt." Abdel Galil has criticized other Muslim religious who claim that Christians and Jews are "believers". He is convinced that non-Muslims are "infidels" who, in his opinion, have no hope of making their way into heaven. Caught up in a wave of popular indignation, he wrote a message on his Facebook page yesterday asking for forgiveness "to those who felt hurt," adding that he did not want to foment attacks on Christians. The Mehwar television station, which hosted the broadcast of the Islamic preacher, presented its apologies. According to many Muslims, the teaching that is practiced at Al Azhar, where many Islamic religions are prepared, has this fundamentalist footprint, deserving the title of "academy of Islamic terrorism".